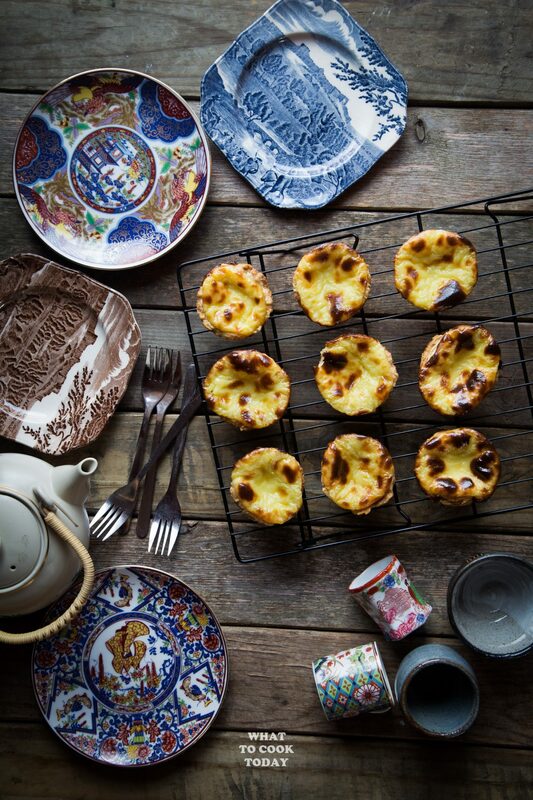 My first exposure to Pasteis De Nata / Portuguese Egg Tarts was when we went to Macau as part of our honeymoon trip. 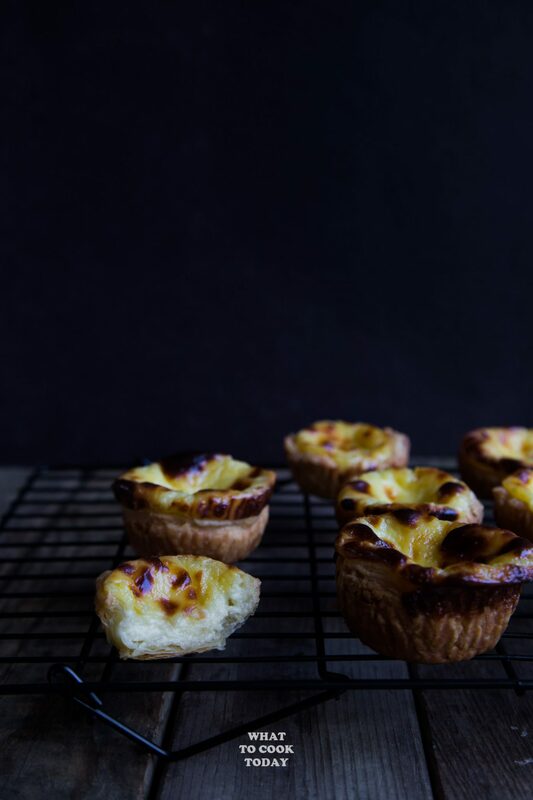 I made it a point to my husband that we couldn’t afford not to try out the Portuguese Egg Tarts. We weren’t disappointed. They were as good as they were claimed to be. I have attempted several times trying to make Pasteis De Nata several times and they weren’t as good until I discovered Kitchen Tigress Portuguese Egg Tarts. Definitely a success! 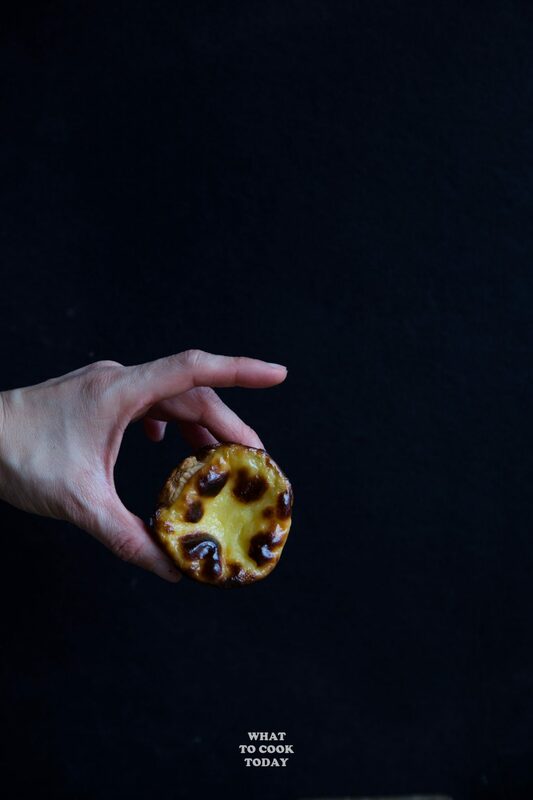 HOW TO PREVENT SOGGY PUFF PASTRY? She gives a very good explanation on why cornstarch is added to the filling, which I didn’t before. The cornstarch is there to stabilize the filling. 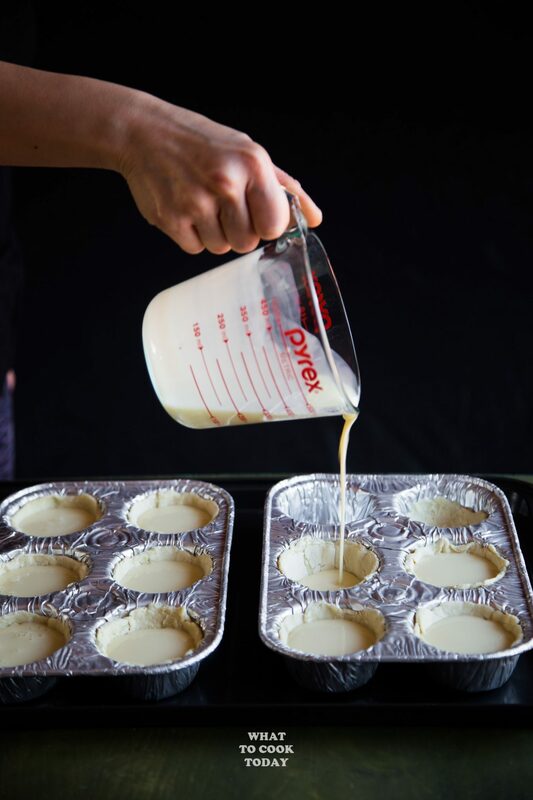 There will be some degree of separation between the egg and sugar, however, too much of the separation will cause the sugar to not rise to the top and give you that nice shiny top. When they sink to the bottom, it will make your pastry soggy. Look at that creamy egg custard. So good! 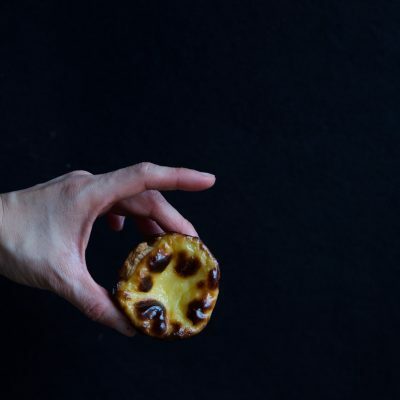 WHAT MAKES TOP OF THE PASTEIS DE NATA ITS BLACK BLISTERS? I always think it’s the sugar that makes the black blistered on the surface, but it’s actually the film layer that forms when milk is heated. This recipe calls for a good amount of milk (and please don’t use skim milk). It makes sense because I remember back in the old days, grandma often heats up the fresh cow’s milk and sure enough, a layer of film will form on the top. 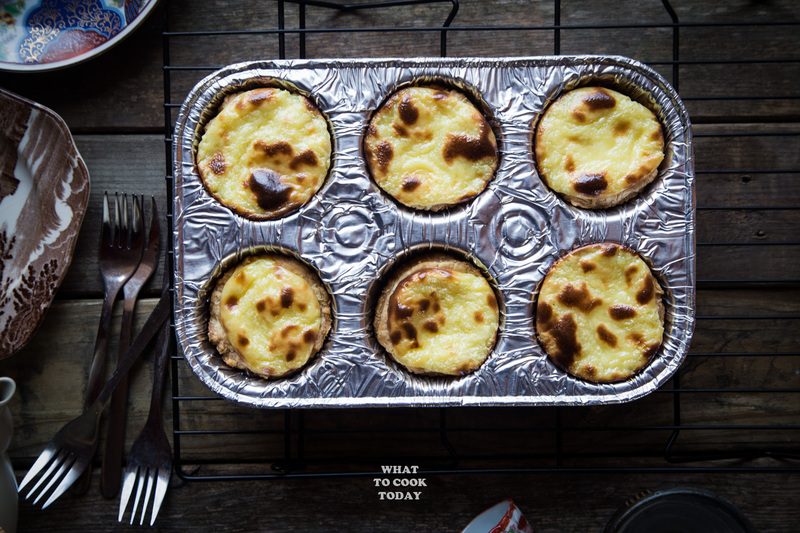 When I first tried this recipe, it wasn’t very successful because I use my regular steel muffin trays to bake the tarts. 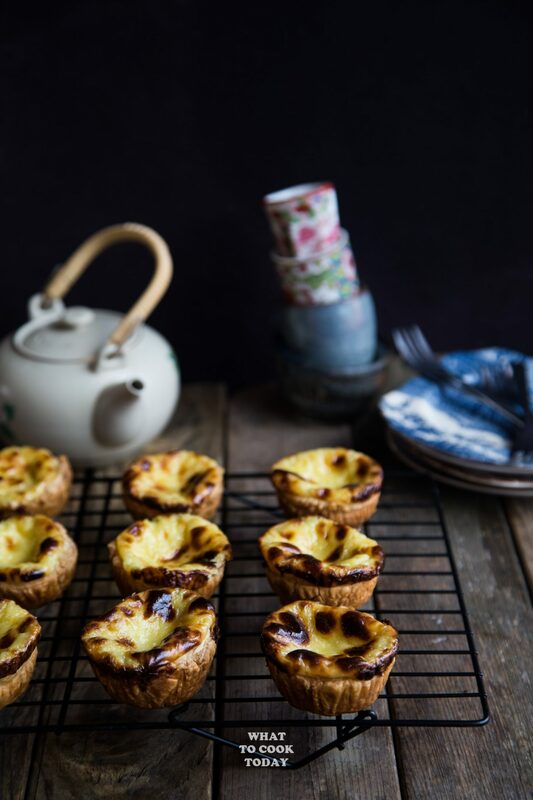 They are simply too “thick” and so the tarts weren’t heated enough. As soon as I use aluminum, they turn out as they should. I didn’t make the puff pastry from scratch. I just feel like it’s easier to get store-bought ones. I doubled up the recipe (how can you not!) and this is seriously due for a repeat again! The recipe is good, but if you allow me to share my recipe, here is the link, where I have homemade puff pastry. 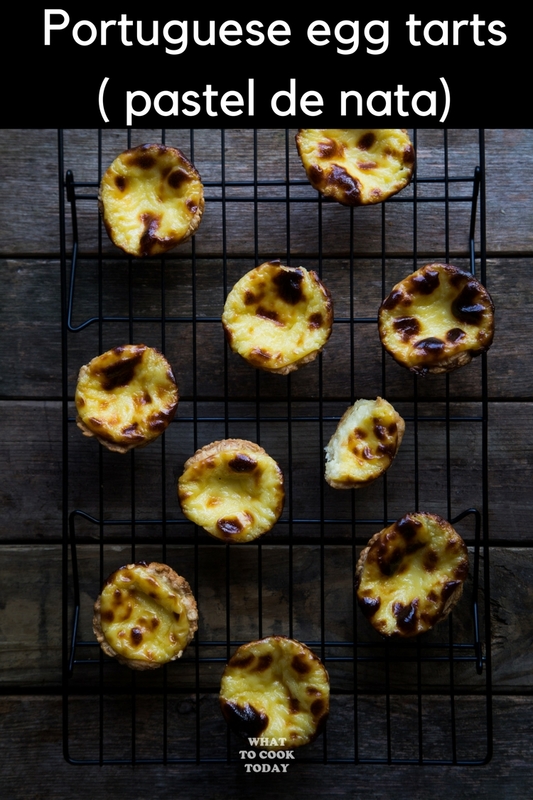 Believe me, it gives a different taste and even with all the trouble to make it, is definitely worthy! 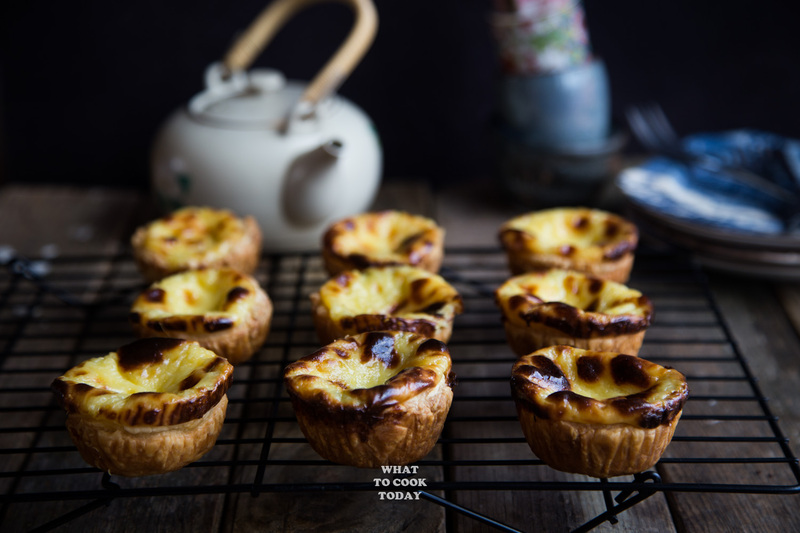 It’s true that both flours can thicken the liquid, to be honest, I have never tried to thicken with regular flour before in this egg tarts. I would imagine it would work too. It’s the amount that may not be 2 Tbsp anymore. I think it will take a lot more of regular flour to thicken the liquid compared to cornstarch and you need to cook it longer to get rid of the “raw” taste too I would imagine. Cornstarch will give that glossy finish that regular flour usually doesn’t. So, to answer your question, you can use regular flour but I’m not sure how much you need to add to get the same result.